If you’re already contemplating ways to make your skinny jeans look fresh in 2018, well, we salute you. It’s easy to just wear the same pieces with them over and over, but it can get a little dull, which is why it’s always a good idea to have a few forward skinny jean–friendly trends in your arsenal at all times. Accordingly, we recently scoured the S/S 18 fashion week runways and streets to find the new trend we expect to see worn with skinny jeans on repeat in 2018. Our verdict? Trench coats. 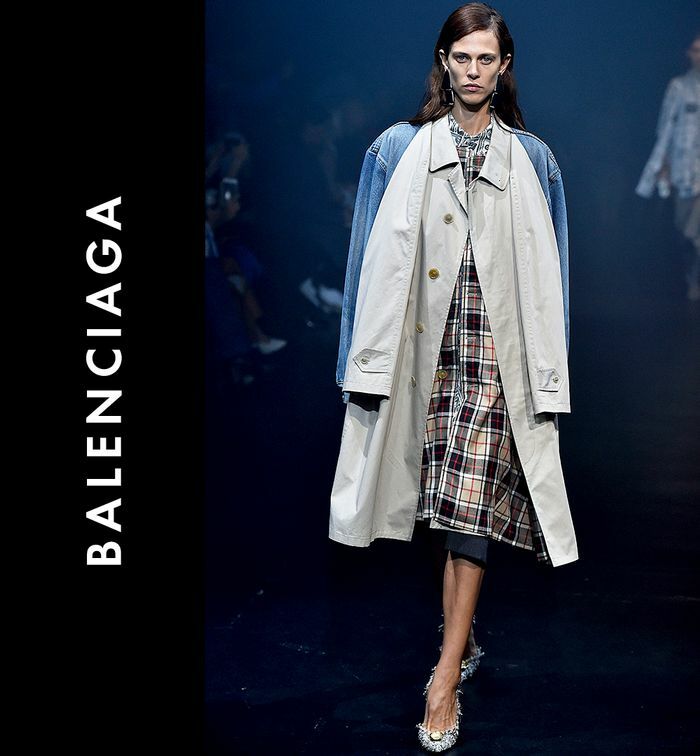 For S/S 18, many designers (including Balenciaga and Loewe) imagined up unique takes on the traditional trench coat, all of which would like perfect with skinnies. And if you prefer something sans bells and whistles, those are also fashion girl–approved. To see the latest trench styles on the runway and how the fashion crowd has been styling them with skinny jeans, read on. That checked lining is incredibly on trend this season. Buy this once and you'll wear it dozens of times. As classic as they come (hence the name). This would look ultra-cool with skinny jeans and black pumps. We're still not over this color. This might be the coolest trench we've ever seen. Wear it as a dress or a jacket! Of course Alexa Chung designed the perfect trench coat. We can't think of an outfit this classic black trench wouldn't work with. Why don't more trenches have contrasting belts? Next up, shop the skinny jeans fashion girls swear by.